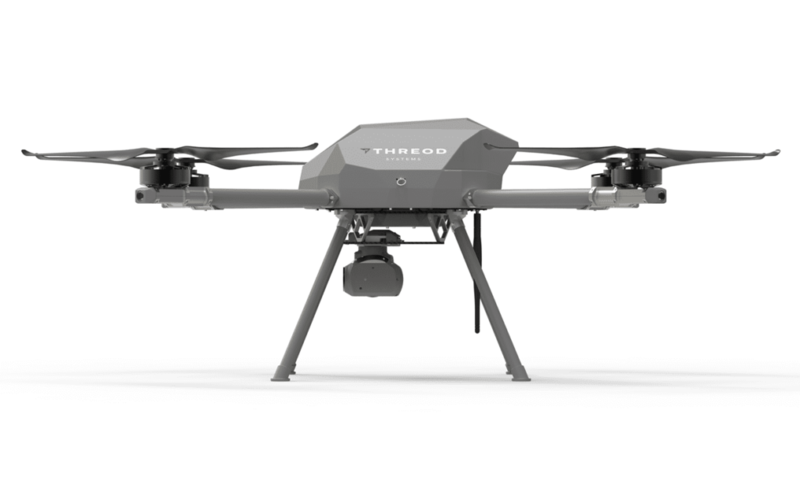 Threod Systems is a developer and manufacturer of Unmanned Aerial Systems (UAS) for data-gathering in tactical and commercial applications. We also develop a wide range of UAS subsystems in-house, such as autopilots, engines and payload modules, making us a complete UAS supplier with the flexibility to deliver the most suitable solution for your particular requirements. All our products are ISO 9001, ISO 14001 and AQAP 2110 (NATO standard) certified, ensuring the highest quality and reliable operation in the most demanding of environments. EOS is a hand-launched, parachute-recovered electric mini-UAS designed to capture stable, detailed imagery during tactical and commercial missions. Suitable for a wide variety of applications, including force protection, border security, first responder support and precision agriculture, the capabilities of the EOS have been proven during NATO ISAF (International Security Assistance Force) and KFOR (Kosovo Force) operations. The EOS’ state-of-the-art aerodynamics guarantee a flight time of over 2 hours and silent operation at an altitude of 150m. 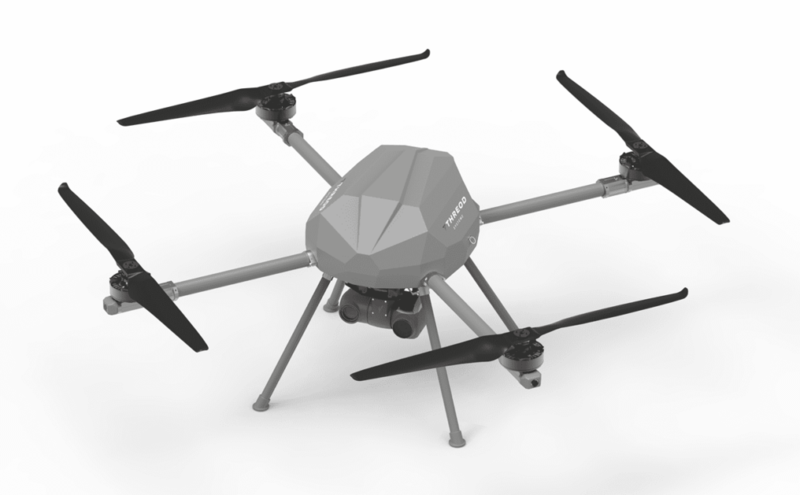 A fully gyro-stabilized two-axis EO/IR camera gimbal provides onboard HD video and imagery recording, as well as streaming to a Ground Control Station, and an additional plug & play payload can be fitted for precision aerial mapping. The EOS is equipped with an advanced autopilot which enables automatic takeoff and landing, automatic navigation between user-defined waypoints, and a variety of loiter modes and scan patterns. An AES-256-encrypted data link provides a line-of-sight range of over 20km. 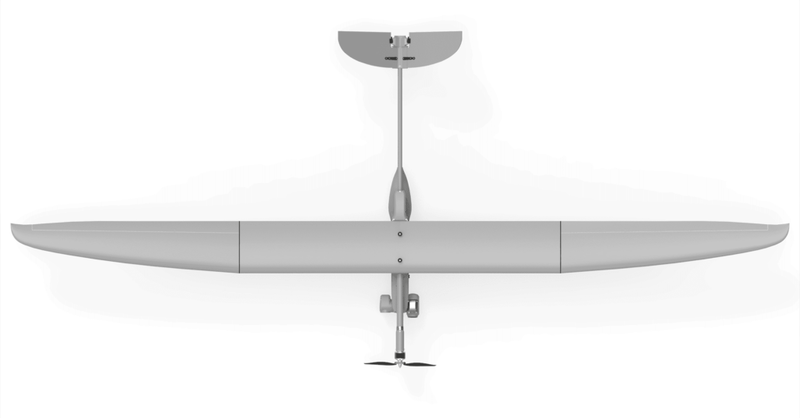 Currently under development, the Stream C tactical UAS is a Class 1 Fixed Wing UAS with a 30kg maximum takeoff weight (MTOW). 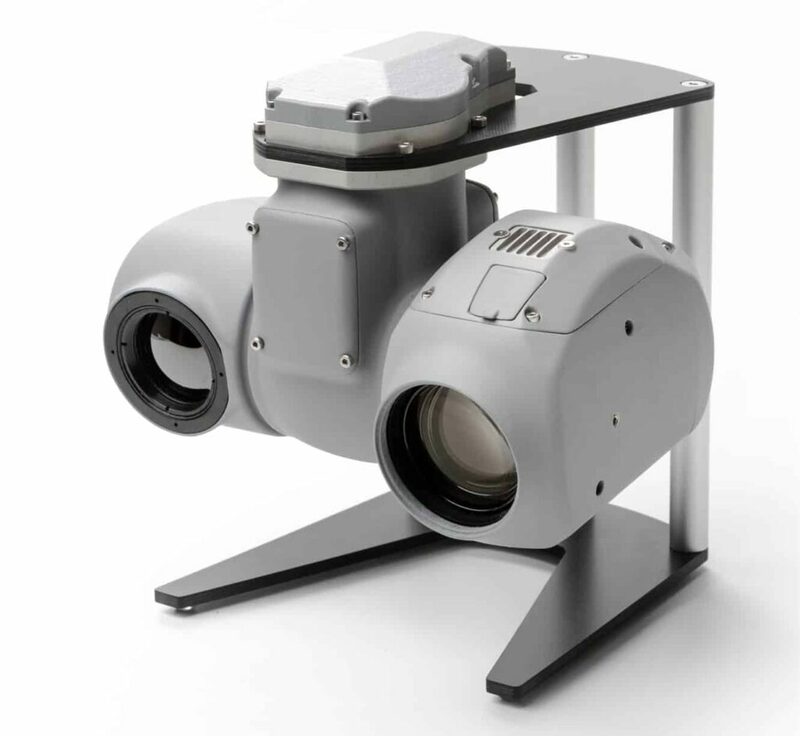 Designed for endurance flights (up to 6 hours), the Stream C will feature a cooled MWIR gimbal payload making ideal for aerial mapping and ISR surveillance applications. Currently the drone platform is launched via catapult and recovered using the integrated parachute recovery system, although a wheeled undercarriage is being developed to enable conventional takeoff and landing. 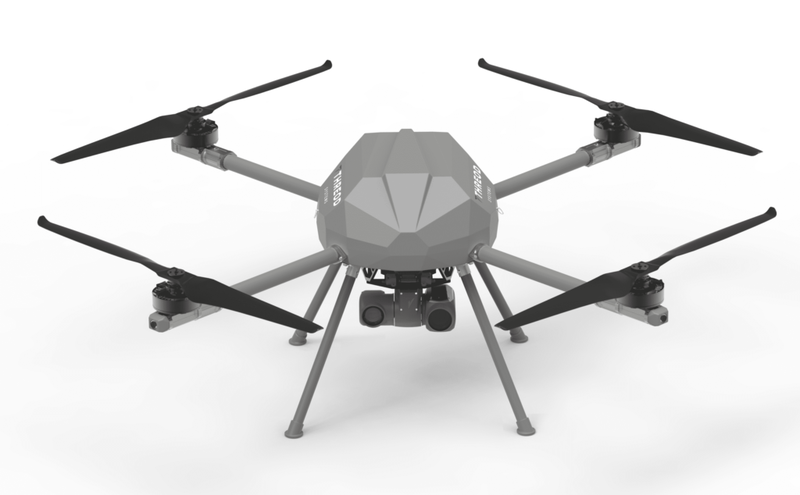 The KX-4 LE Titan is a long endurance, heavy-lift multirotor drone designed for ISR, search and rescue (SAR) and law enforcement missions. The multiple plug & play payload options provide enhanced situational awareness for rescue services and first responders. Featuring VTOL functionality, the KX-4 LE UAS can be deployed quickly without the need for a runway or launch equipment; and the integral emergency parachute offers additional safety, especially when being operated in populated areas. The detachable boom arms and landing gear ensure the system can be easily packed away and transported. 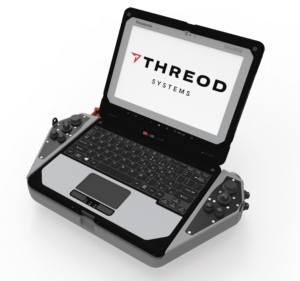 The KX-4 LE UAS can be operated in fully autonomous or first-person view flight modes using a handheld or fixed Ground Control Station (GCS). The Shark roll-tilt gyro-stabilized dual-camera UAV gimbal, suitable for both fixed-wing and multirotor aircraft, provides both electro-optic and infrared capabilities, streaming clear and stabilized live geo-referenced video back to base. Advanced features include target tracking, geo-locking and moving object detection. The dual-side design, with sensors on both sides of the stabilizing mechanism, allows the overall height of the gimbal to be extremely low, and the modular sensor mounts allow for quick, easy upgrades and payload changes. The gimbal can also be equipped with an optional IR illuminator and laser rangefinder for further functionality. The Shark Stabilized Dual-Camera UAV Gimbal is available in a number of different configurations. 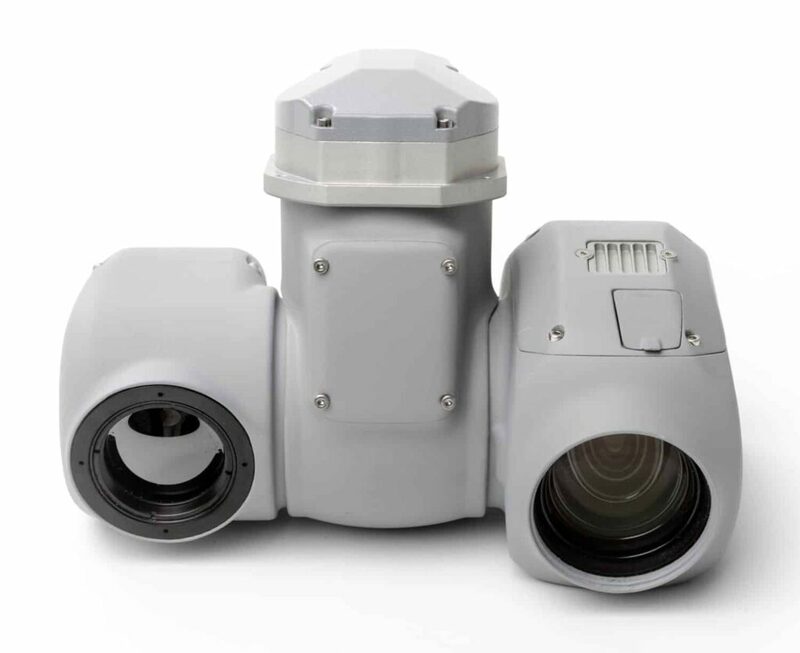 The MWIR Gimbal is a next-generation payload for fixed-wing UAS and multirotor drones that incorporates a cooled MWIR camera, EO camera sensor with 30x optical zoom, laser rangefinder and IR pointer/illuminator. Featuring gyro and image stabilization, the MWIR Gimbal features moving object detection and HD video output with onboard recording, as well as target tracking, geo-locking and 360 degree continuous pan and tilt. 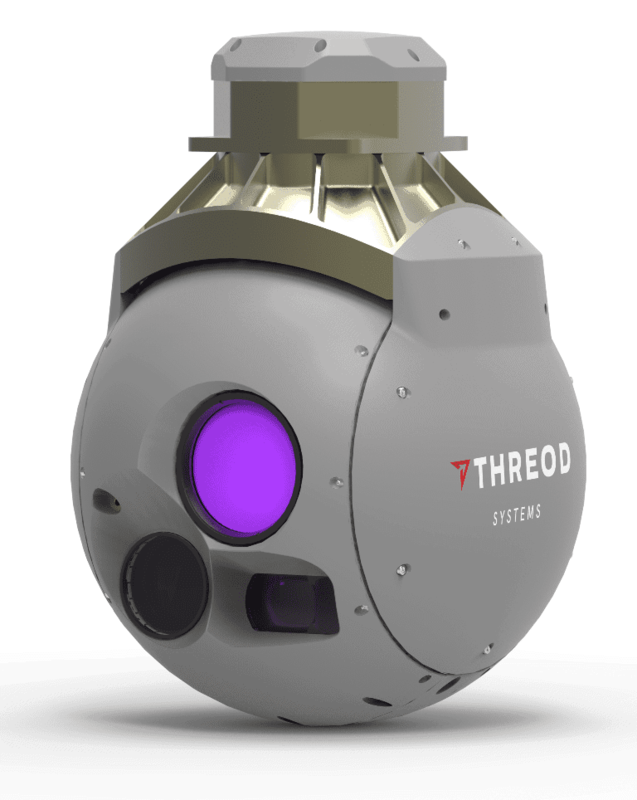 The Dome Stabilized Triple-Camera Gimbal is a next-generation payload for fixed-wing and multirotor UAVs that incorporates an EO camera and two IR sensors with 25mm and 60 mm lenses. 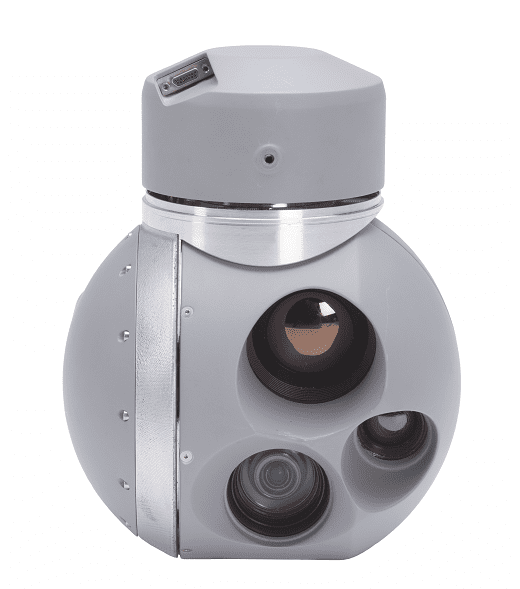 Its modular design allows for custom sensors and optional capabilities such as a laser rangefinder, IR illuminator, laser target designator, or aerial mapping payload. The Triple-Camera Gimbal features gyro-stabilized HD imagery and onboard recording as well as advanced features such as target tracking, geo-locking and moving object detection. The Stabilized Triple-Camera Gimbal is available in a number of different configurations. By submitting this form, you consent for your details to be sent to Threod Systems and its authorized partners in order to respond to your inquiry. Depending on the location of the organization, your personal information may be transferred and processed outside of the European Economic Area.